Louisiana Horse Rescue View other Horses for adoption. 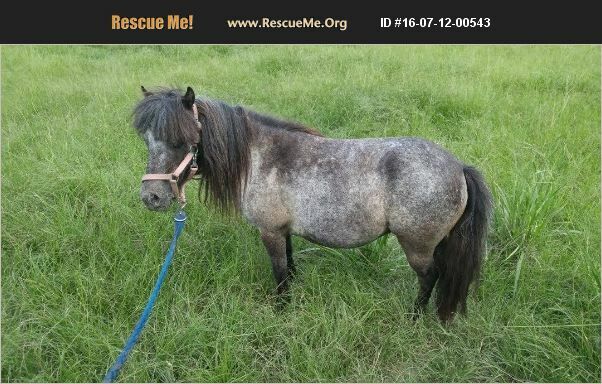 ADOPTION PENDING--Aurora is blue roan miniature mare. She was born about 1/2006. She is halter broke, has a negative coggins, and is up to date on vaccines. Aurora found herself at a kill pen and was on the verge of being shipped to slaughter. We could not let a beautiful sweet girl like her be sent to slaughter so we got her from the kill pen and she is now in need of a home that will give her love for the rest of her life.